Convenient and stylish! Display your recipes while keeping your hands free to mix, stir and bake. Metal easel stand fits handwritten recipe cards, recipes printed from the internet, and electronic tablets! Brownlow Gifts began from a desire to create gifts that would last much longer than flowers and give hope and inspiration long after flowers are gone. 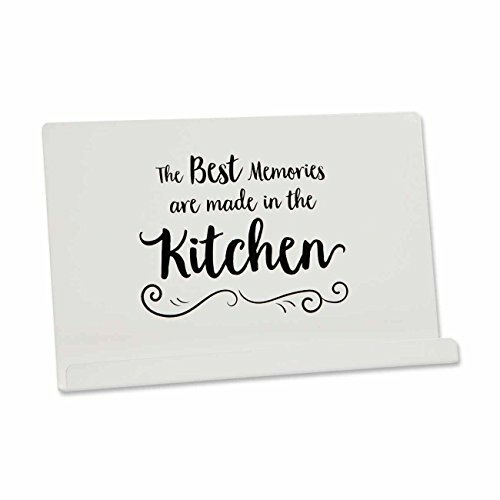 Brownlow Gifts has grown into creating inspirational, fashion accessory, paper, and baby gifts along with a selection of giftable kitchen items. The Brownlow Gifts family business continues making products that inspire people and help them connect with the people they love. If you have any questions about this product by Brownlow Gifts, contact us by completing and submitting the form below. If you are looking for a specif part number, please include it with your message.